The Future of the United Kingdom’s Territorial Constitution: Can the Union Survive? The 2014 Scottish independence referendum has failed to settle the question of Scotland’s constitutional future, notwithstanding that a clear majority voted to remain part of the United Kingdom (UK). Since the referendum, the UK Parliament has legislated to fulfil the promise made to the people of Scotland that substantial additional powers would be devolved to the Scottish Parliament and its status as a permanent part of the UK constitution guaranteed. Nevertheless, a growing body of opinion argues that more comprehensive reform to the UK’s territorial constitution is required to ensure the long-term survival of the Union. This chapter outlines the nature of the UK’s current territorial constitution, arguing that, while it is formally unitary, constitutional practice suggests that it is better viewed as a union state. However, as currently constituted, the territorial constitution fails to either to adequately recognise the territorial diversity of the UK or to provide sufficient territorial cohesion to maintain the legitimacy of the UK state. An adequate programme of territorial reform therefore needs to go beyond further devolution of powers to Scotland to address problems of lack of security for the autonomy of the UK’s constituent parts, lack of attention to institutions of shared rules, and lack of constitutional reciprocity. 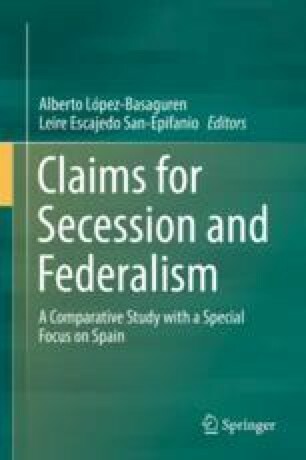 Nevertheless, the chapter also identifies major obstacles to the achievement of comprehensive reform of the territorial constitution. It concludes that the territorial constitution is more likely to continue to develop through continued piecemeal and evolutionary change, and that, in the current climate of territorially-polarised politics, exacerbated by the result of the 2016 referendum on membership of the European Union, this represents an ongoing threat to the survival of the Union.